2) You have 2 years of verifiable over-the-road tractor trailer experience. If you meet these requirements here is what we can offer you. We do not haul hazardous materials. Based on when you return from a trip, you'll usually have several choices every week for your next outbound trip. Since we have a solid customer base we run a lot of the same lanes allowing you to become familiar with the places we go. Like the large companies, we feature satellite tracking. Unlike the large companies, we don't hide behind the satcoms, we still like to receive phone calls from our drivers. Going out on a trip means running usually over 1000 miles each way, so you won't spend a week doing a series of short trips. 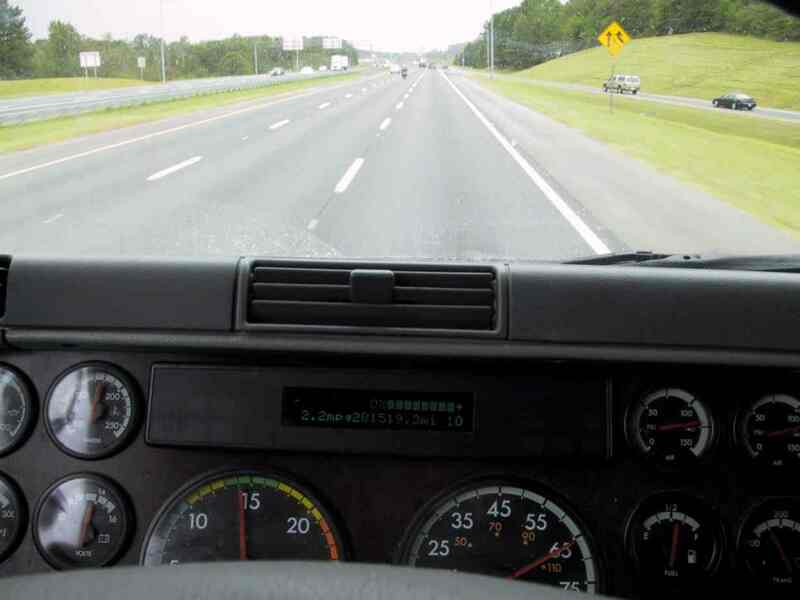 All of our trucks are late model Freightliner Century Class, and each one has the auto shift transmission, so you can just drive. You will never spend a day looking for an empty trailer that doesn't exist. Usually the trailer you pick up on your outbound load will stay with you the duration of the trip. You will never have to wait in line to have your truck washed since we have a wash bay at the terminal. Yes, we do have PrePass in all trucks. Yes, we will allow you to install an inverter. All trucks are equipped with built in micro-fridges. No, you will not slip seat. This means you can leave your personal effects in your truck when you're home, and install your own stereo if you wish. We believe that home time is valuable to a driver, so our runs are usually a straight shot to somewhere out east, with a reload on the same day of delivery heading straight back to Kansas. About 80% of the time you will be able to drop your trailer and not even have to worry about delivery during the return trip. Average duration of trip is 4 to 6 days. We offer paid vacation, 401K, and health care.